On Sat. 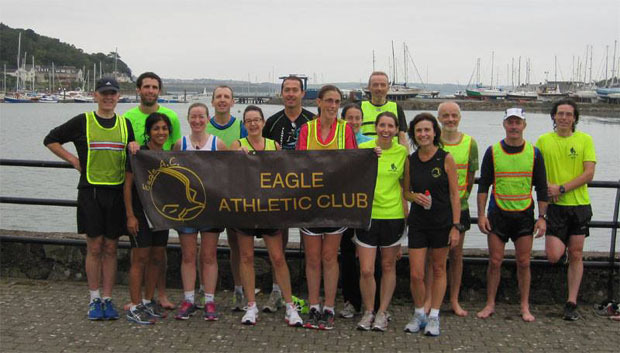 Sept 28th 2013, 16 Eagle AC members set out to repeat the exploits of the runners of the 1908 Cork to Crosshaven ‘Marathon’. Starting at Bridge Street in Cork City, members of the club ran the 18 miles to Crosshaven following much of the old railway line which is now a walkway. Each participant donated €5, with the entire proceeds going to the Irish Cancer Society. The run also featured in the Carrigdhoun newspaper. The Carrigdhoun has a circulation of about 6,000 copies and is sold mainly in the South Cork region.